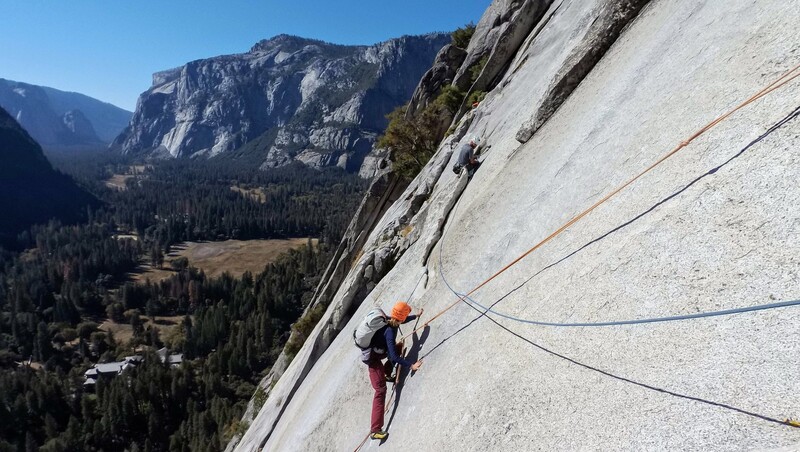 I was lucky enough to be invited to the International Climbers Meet in Yosemite Valley with the American Alpine club in October 2018. 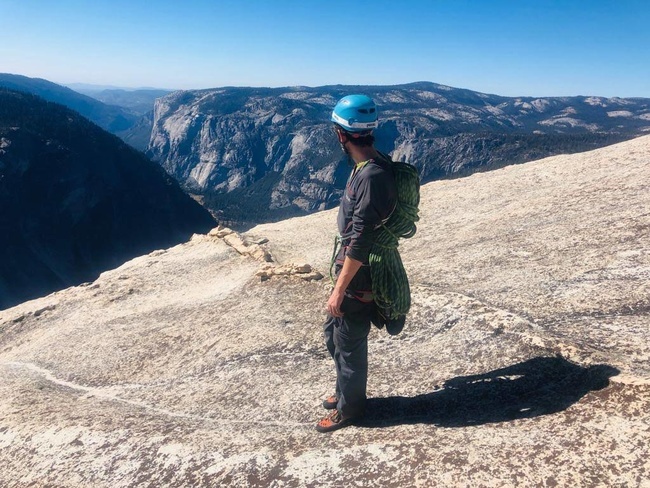 This fantastic opportunity put together 25 international climbers with 25 U.S climbers, and a group of host climbers for a week of climbing, learning, socialising, eating and drinking at the the Yellow Pines volunteer campground in Yosemite Valley. 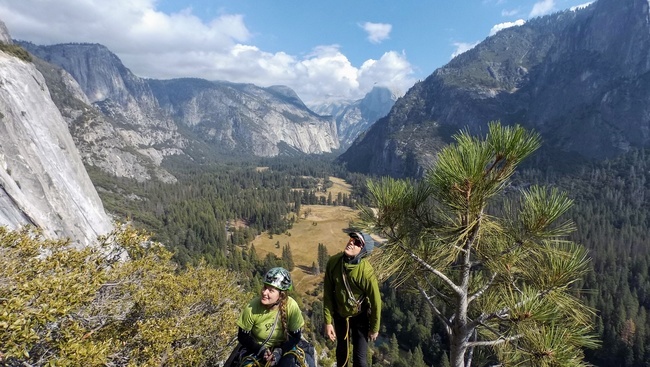 The event had options throughout the week, from learning clinics about Self Rescue, cragging groups at crags all over the valley, personal objectives with other ICM attendees, a big wall demonstration from the park rangers, to rest or hiking days. I spent another week with the remaining meet attendees who decided to stay on at camp 4, both weeks had amazing weather, but week 2 was a bit of a shock to the system without the fantastic catering that spoiled us in the first week! 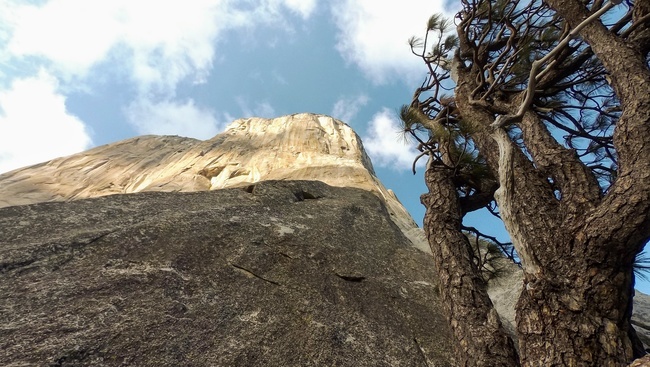 Yosemite is the climbing Mecca for any climber, but the steep granite cracks are intimidating and difficult for the grade. I took it slow and steady, practicing my jamming on shorter routes, and building up to some longer routes in the second week. Still, there is so much to come back to when I am lucky enough to come back to this amazing place. I was lucky enough to climb with amazing people from the U.S.A, Brazil, Sweden, Czech Republic and the U.K in my time away. 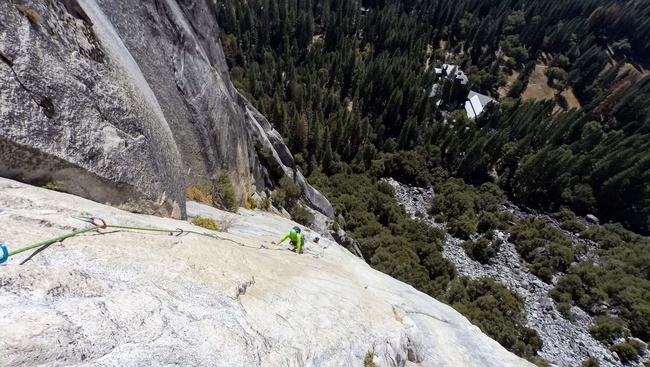 I climbed 15 or so routes during the 2 weeks, my favourites being Super Slide, Snake Dike, and Bishops Terrace. Here are some photos from the trip.